Well well well what have we got here with the new update to the Indirank .. admittedly I fell behind a little with the birth of my child and stopped with the blogging somewhat. This resulted in my indirank being downgraded across all my blogs. But then I started working again on my blogs.. and the result was very quick .. very quick in deed. Now it may not seem a lot to you but for me it is enough .. for now at least LOL. 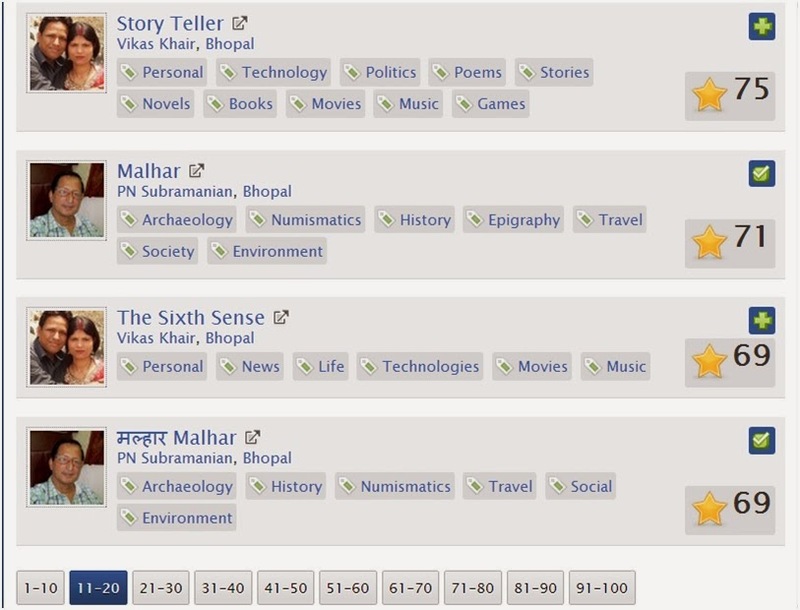 well what happened is that now 4 of my blogs are in Top-30 blogs of Bhopal. I know I know where I stand and my ambitions are local for now, but for long if I get serious about blogging I would make sure that my blog is one of the top blogs on India too. But Alas my attention span is too small that is good news for all the awesome bloggers around India most of them are my friends. 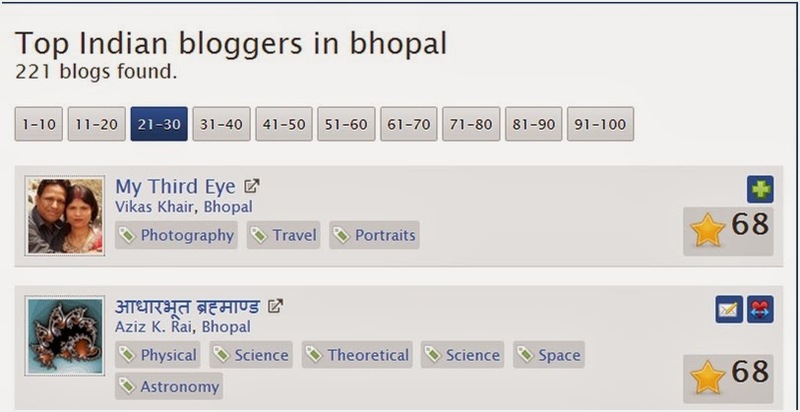 Here are two of blogs in Top-20 blogs of Bhopal No. 16 and No. 18. And there goes my no. 21 and No. 30 blogs rounding off Top-30 blogs of Bhopal and I have 4 blogs there .. once again 4. That is more than 10% of Top-30. So let's now come back to the earth. Yes it is not ground breaking achievement but it is for me in some measure because two of these blogs are the ones which I resurrected from dead and now they are nearing top of the blogs in Bhopal. I am little bit proud but not at all arrogant as my tone for this post may have indicated. My message to all my fellow bloggers in Bhopal and all across India. You all are doing awesome work keep on doing it.